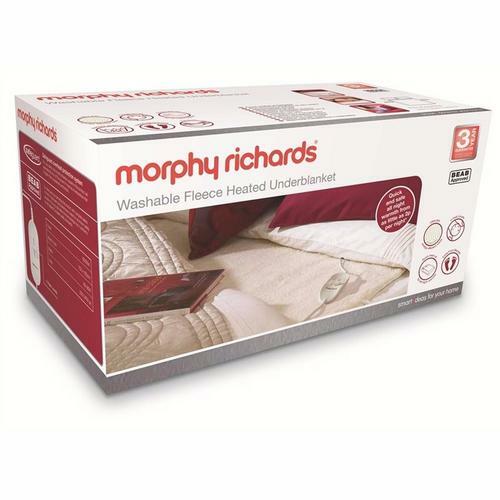 The King Size Washable heated fleece under blanket is ideal for those who seek a warm bed, this heated fleece is suitable for king size mattresses and is Machine washable and Tumble dry safe. This heated blanket comes with 4 heat levels to allow you to set you preferred heat level, the Dual controls allow the other occupant of the bed to adjust their heat level to their preference as well. This Product comes BEAB Approved with safeguard protection that will shut off the power to the blanket automatically if the temperature exceeds what is deemed comfortable and/or unsafe.